Kara Lee Donnelly wants to know why you read what you read. Many people pick up a book because they heard it was great, either from a friend or through the media. But how did they know? Who is it that makes the decisions about which books are worth our time? Donnelly, a post-doctoral fellow in Notre Dame’s Department of English who completed her Ph.D. in 2015, has researched British literature from the 1950s to the present trying to find answers to those questions. Her scholarship has focused largely on the Man Booker Prize, which recognizes excellence in fiction writing published in Britain. Anytime a book is considered award-worthy, more people are inclined to read it. But Donnelly wants to start conversations about what constitutes an award-worthy novel and what separates it from other work. Donnelly’s interest in the culture of literature dates back to her first English course as an undergraduate at Wellesley College in Massachusetts. There were so many books out there, but only a few could fit on the syllabus. She wanted to understand the rationale for which books made the cut. “I started thinking, ‘How do people choose which books they’re going to read?’” she said. The focus of her research, the Booker Prize, was established in 1969, a critical time for British literature and culture. The concept of what kind of writing was “art” and what was “junk” was shifting, and the award helped to redraw those lines, Donnelly said. The prize’s founders wanted to catalyze the lagging British publishing industry, hoping to drive demand by calling the public’s attention to books that were both “art” and had a chance of attracting popular attention. Any novel written by an author from Britain or the Commonwealth was eligible, so as more authors from the Caribbean, Africa, and India were having work published in London, the makeup of the prize’s winners and finalists evolved. Together, those forces forever changed British novels, Donnelly said. Quickly, prizewinning work became a larger force in popular culture. And the rising prestige of novels from different cultures challenged British readers to consider alternative points of view and think about themselves differently. At the center of it all was the Booker Prize, which was key in canonizing certain works. “The Booker has been one of the many forces in bringing literature in English from around the world into conversation with each other, and helping it find readers,” she said. Declan Kiberd, the Donald and Marilyn Keough Professor of Irish Studies and chair of Donnelly’s Ph.D. committee, said her research on the Booker prize and its effects are essential in understanding the changing culture of English literature. Her work will be increasingly relevant as cultural shifts continue to occur. Of course, the biggest challenge in studying how writing impacts culture is that new material is being released every day. And the rise of digital publishing platforms means there’s even more material to account for. That makes it more difficult to connect the dots between which work is having a cultural impact, or how popular culture is impacting which work is published. 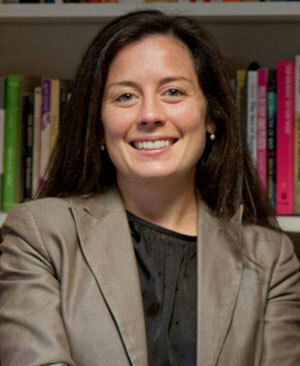 Donnelly, who spent two years in New York City with Teach for America before earning her master’s at New York University and her Ph.D. at Notre Dame, is currently teaching courses on 20th- and 21st-century literature and the politics of education. The theme of Donnelly’s research, about how awards have shaped British literature, applies to other forms of popular culture as well. Cultural awards began to emerge and gain traction at the start of the 20th century, and consumers of TV and movies regularly use them to gauge what’s worth their attention, Donnelly said. In some cases, award shows such as the Oscars can be more popular than the work they’re recognizing, she said. “We’ve become not just reliant on these awards to help us decide what to spend time with, but they’ve become a kind of spectacle among themselves,” Donnelly said. Still, she acknowledges that the Booker, the Oscars, and other cultural prizes have popularized some wonderful novels. “I can pick up any book anytime, and say I’m reading for work,” she said. Originally published by Tom Lange at al.nd.edu on April 14, 2016.